We love Winter Water Factory's fresh designs and their commitment to sustainability! The perfect one-piece outfit for a summertime baby with a fun all-over pattern. 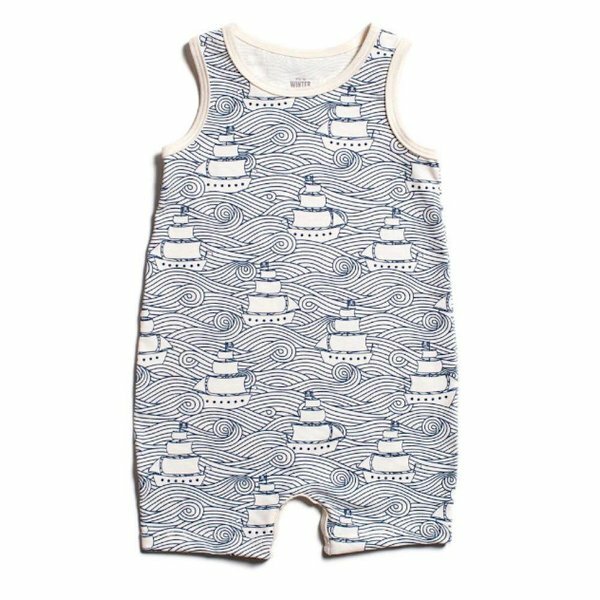 Sleeveless romper with 4 snap buttons for easy changing. 100% organic cotton. Made in the USA.